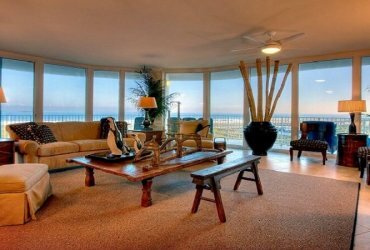 Furniture, floors, and artwork are very sensitive to light. You need to protect them from being destroyed from the suns damaging UV rays that enter through your windows. There are lots of people in South Africa that like to let sun rays into their living rooms. But also, they do not want to ruin their interior furnishings at home. Applying the right window film can be a very simple solution to your problem. What are the disadvantages of sunlight? Sunlight can cause some serious problems like fading, discolouration and fabric damages. The light that comes from the sun consists of visible lights, UVA rays, UVB rays, and infrared rays. Almost 45 per cent of the total damage is done by UVA and UVB rays. First, sunshine is not necessary for the existence of UV rays. They can exist even on a cloudy day. Second, people like to let the sun rays into their rooms. One of the main functions of the window is to let sunlight into the room. However, long time exposure to the visible light can slowly damage your valuable properties. So these are the reasons why you should be thinking of installing window tinting film on your windows at home. How much protection do your windows need? It is very crucial to decide how much protection will be essential. Some window films block 85% UV rays which are good, but you might find it inefficient. If you want to prevent sun damage through your windows and maintain the original colour and reduce the fading effects of damaging UV rays, your windows at home need 99% protection. Some might think that skylights can be helpful. It is true that they transmit a huge amount of natural light. But it has been found that most of the damage to furniture is caused by these lights. Also, they increase the room temperature. Most people try to avoid skylights at all costs. 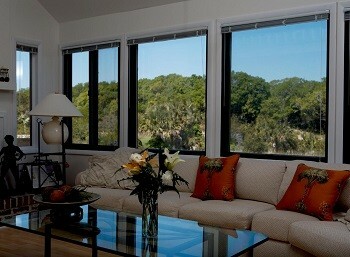 You can bring the expensive low_E (low emissivity) and energy efficient windows for your house. However, these windows are unable to provide protection for your furniture. UV rays pass through this glass easily. These might be helpful to maintain a comfortable temperature and lower your energy consumption. UVB cannot go through any of these glasses but the UVA rays can. The capabilities to block UVA rays are different for different glass types. Now day’s people like to have a larger windows which is making the ability to block UVA more important. Almost three-fourths of the total UVA rays can pass through the clear glass windows. The amount is lesser for tinted and reflective windows. But still 25-50% UVA can pass through. Also, the tinted and reflective glasses block more visible light which is not desirable. Low-emissivity glasses are designed to help the people with heating and cooling problems so that the cost for this processes can be reduced. But in the case of UVA blocking or protection, these are nothing different than the clear glasses. There are some glasses that provide the best protection from UVA rays. 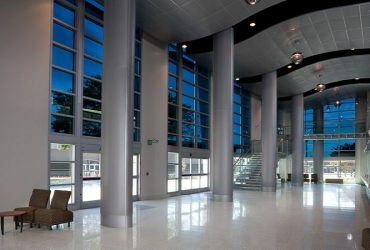 Laminated glass and UV_blocking coated glass are designed to block around 95-99% of all kinds of UV light. Laminated glass is usually not common in the residential or commercial area. Some public facilities like airports, museums etc. use these. These glasses are made of three layers. Two layers of glass on two sides and a plastic layer between them. UV_blocking coated glass is also not common. You might have to think out of the box if you are willing to provide the best UV light protection for your house. People have to visit many places to keep up the pace with the modern world. In doing so, they have to spend a lot of time in the cars. Unless any major change occurs in the transportation system, this trend will grow. More people are also using smash and grab tint to prevent attacks. In modern cars, laminated glass is used for the windshield. With the help of that, the windshield can block a major portion of the UV rays. But the rear and side windows are usually made of non-laminated glass. These glasses cannot block UVA. Almost two-thirds of the UVA can pass through the non-laminated clear glass. Tinting can be a solution to this problem. Tinting can block 15-30% UVA. You can install window tinting for your clear side and rear glass at any qualified auto shop. Just make sure that 70% of visible light can pass through the windshield before installing tinting to comply with the local government rules. Some other factors are also important in the case of car UVA exposure. 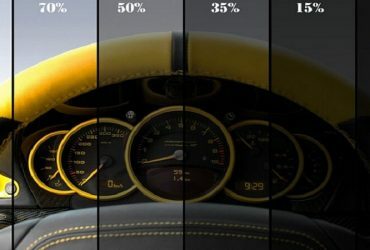 Sitting position (the more you are close to a non-laminated glass, the greater is the exposure) relative driving direction with the sun, time of day and year. Well, in most cases you can hardly control most of these factors. So it is better to take protection like wearing sunscreens, protective clothing, and others while driving. If you are searching for a simple solution, window film will be the best answer. There are varieties of window films available to deal with the light and UVA blocking problem. Solar film manufactured by Vista, 3M or Lumor can reject up to 99.9 per cent of damaging sun rays. Reducing the significant amount of sun glare is another lucrative feature of solar window films. If you are concerned about viewing outside, throw away those. You can enjoy the outside view without any disturbance. Solar window films are also very energy efficient. These can reduce the amount energy consumption by a significant amount. Solar window films are applied in the inner part of the windows. Hiring a professional will be a good decision because they will provide you warranty. Also, if you are a novice, there is a high probability of getting bubbles under the film or tint.